Every year, in mid-summer, we receive calls about new plants that are starting to look bad. Almost every time it is from improper watering; the number one reason plants die. Correct watering is the most important thing you can do for your plants. 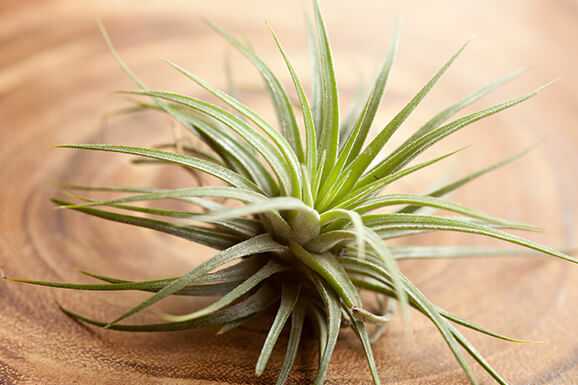 Many times homeowners think that watering a plant once every couple of weeks is good enough. Unless we are receiving a couple of inches of rain a week that is not going to cut it. Plants are using a high amount of moisture especially when the temperatures heat up. Many times a homeowner will not water until the leaves are starting to wilt or worse yet are starting to turn brown. This will cause severe stress on your plants which takes away needed energy for root establishment. We like to treat plants like people around here at Parkview and since we would never go without water, plants should not either. A good practice is to check the soil around your plants daily. Stick your finger in the ground, if it is wet wait another day, if starting to dry out or is dry then water. And remember that newly planted plants have a very small root area which limits the water the roots are able to take up. All perennials, shrubs and trees should receive water several times a week (as often as every other day in some cases). The best way to water your plants is to lay a hose out and let it run slowly to get a deep watering. On perennials and shrubs allow the hose to run for 10-15 minutes or provide a minimum of 2 gallons of water per plant each time you water. For trees, allow the hose to trickle for 30-45 minutes or a minimum of 5-7 gallons at each watering. The water from a sprinkler system is enough water for your grass only, you should not rely on your irrigation system to water your perennials, trees and shrubs. 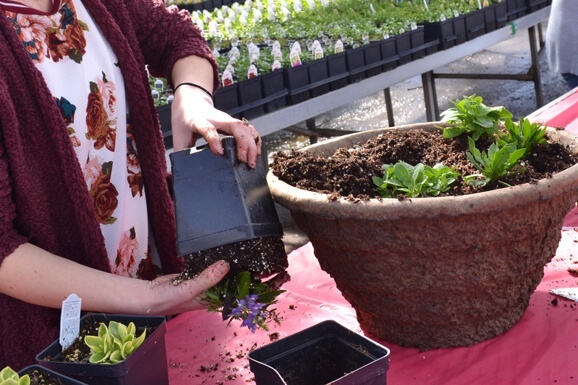 If you have a drip system, newly planted plants will also need to be supplemented with hand waterings. Perennials and shrubs are established after 2 years in the ground, trees after 3+ years. Even after plants are established, during times of dry weather, water should still be provided. Contrary to many people’s belief, plants do not take up moisture from their leaves or needles, always pour the water on the root zone. Doing so will also decrease the likelihood of foliar diseases. All plants should go into the winter with plenty of moisture. Beginning in August, start building up moisture, regardless of the age of the plant, to allow for plants to have enough moisture to get through the winter. During the winter plants use a lot of moisture (especially evergreens) but are unable to take any up through the roots since the ground is frozen. Watering through the fall is imperative to all plants. 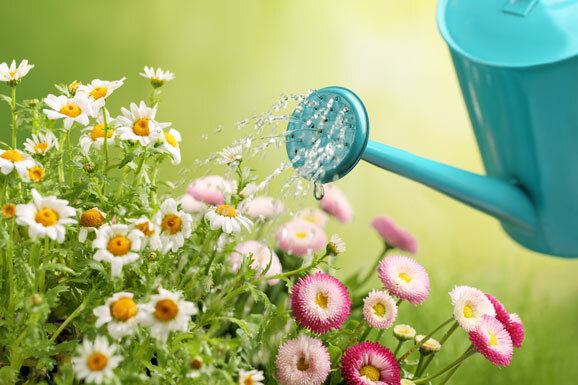 Water your plants correctly and they will be much happier, making you much happier. If you need further instruction on correct watering practices please stop in or call!